Raise your hand if you or someone in your life LOVES coffee. I can't think of anyone who is not raising their hand right now. 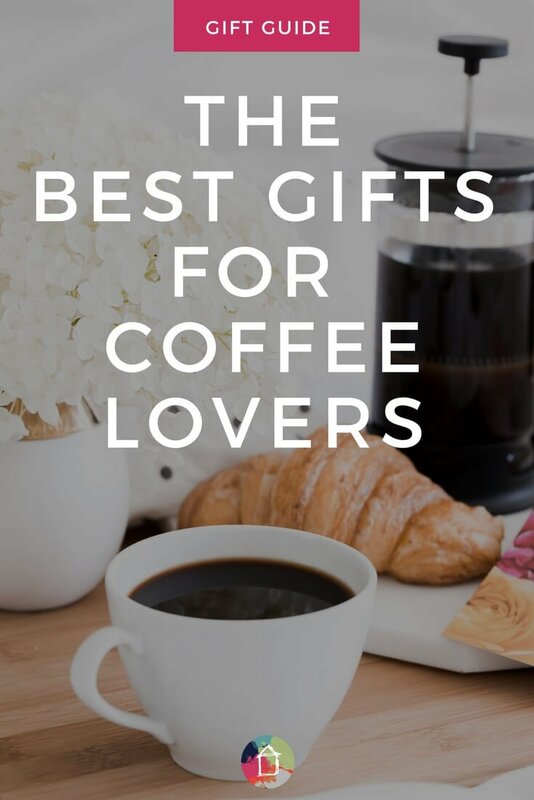 This list has the perfect gift ideas for coffee lovers! As a coffee lover myself, I know that I adore gifts that encourages and promotes my coffee addiction problem enthusiasm. I have scoured the internet searching for gift ideas for coffee lovers and am now sharing it with you so that you can please the coffee lovers in your life this holiday season. 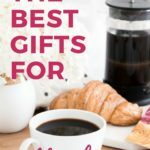 And, of course, if you are a coffee lover yourself, you can add your favorite items to your holiday wish list :) This post contains some affiliate links. Click here to read my full disclosure policy.
. Folks, this is not just any coffee maker. This can brew a pot of coffee or a single cup. AND, the single cup feature allows you to use K-cups OR the reusable filter that comes with it so you can use your own ground coffee. It's AMAZING. The coffee it brews is nice and hot every time. Want to know the best part? It's not that expensive considering all the features it has–it's only $79.00. 2. A set of beautiful stacking mugs– I love keeping things off my counters, BUT as a coffee lover, I appreciate the beauty of coffee mugs on display and I have been wanting a set of pretty stacking mugs for a while now. 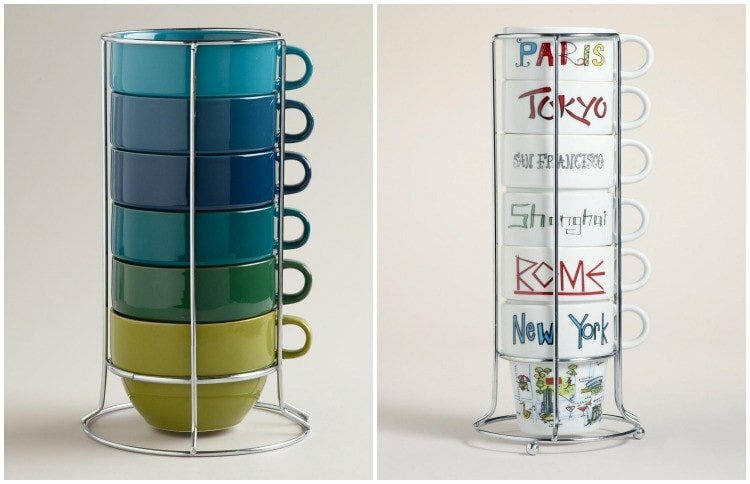 I love these Ombre Stacking Mugs and Around the World Stacking Mugs from World Market. And each set costs less than $20. That's a fabulous deal! – What coffee lover doesn't have appreciation for a wonderful cup of french press coffee? 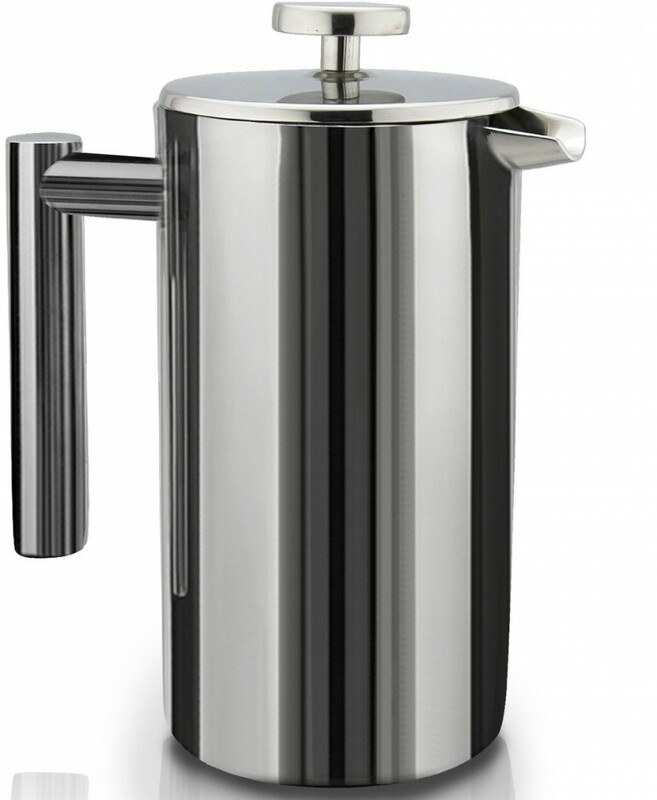 And how stunning is this gorgeous stainless steel french press? At under $40, it is sure to please someone on your list. 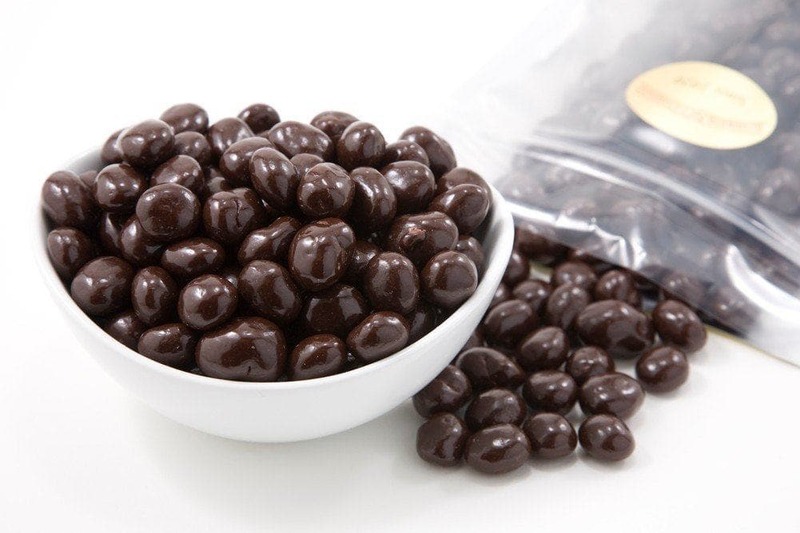 – Most coffee lovers like to flavor and sweeten their coffee from time to time as a treat. 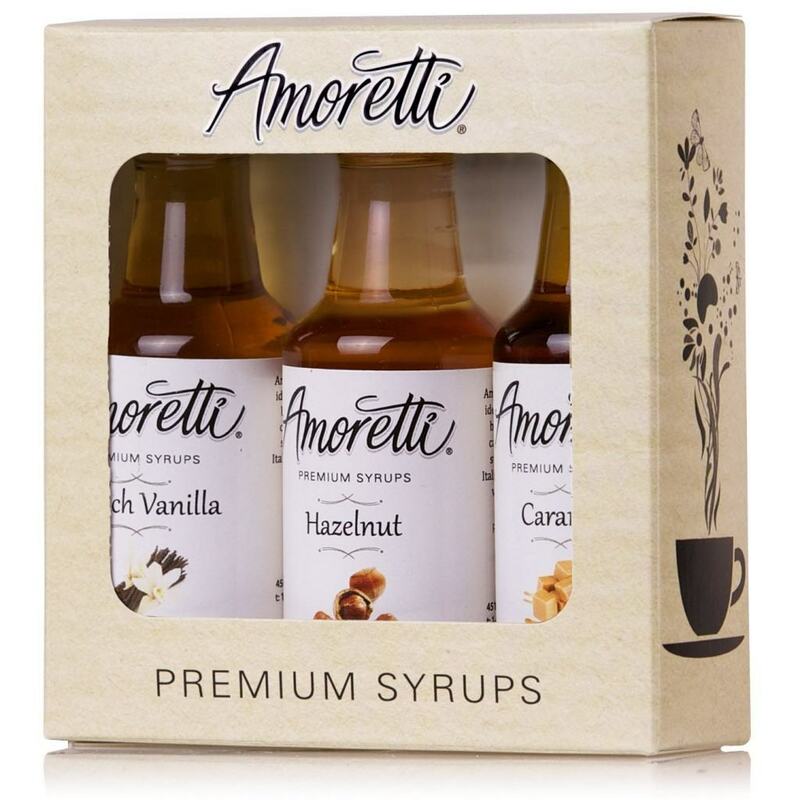 Make it easy for them with this assortment of coffee syrups! 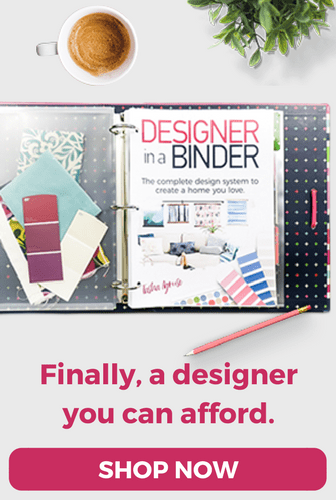 – Ummm, this is just downright cute, clever AND FUNCTIONAL! 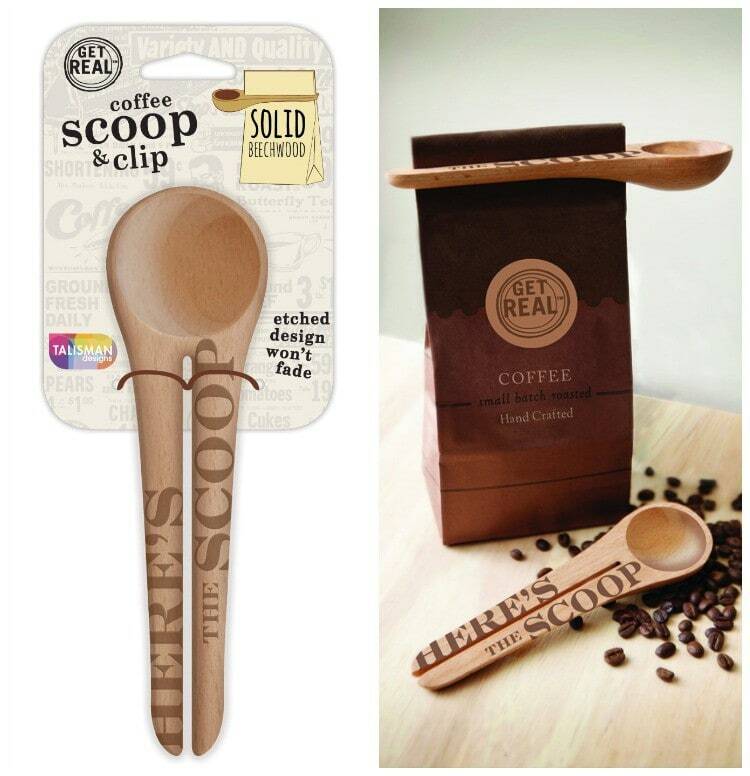 This wood coffee scoop also has a built-in sealing clip. This is a perfect stocking stuffer for the coffee lovers in your life. 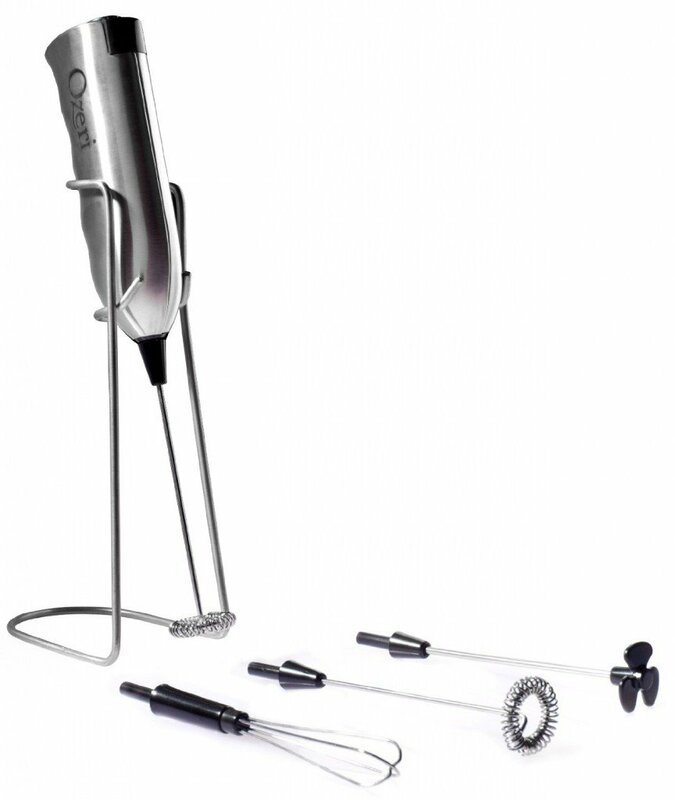 – This petite yet powerful milk frother whips up foam in as little as 10 seconds! It is ideal for steam-free cappuccinos, lattes, espressos, hot chocolates, shakes and frappes! Plus, at under $20, it's a steal. 7. Non-Paper “To Go” Cups– I am in love with these Non-Paper Cups from World Market. They are crafted of porcelain with removable silicone lids and sleeves. 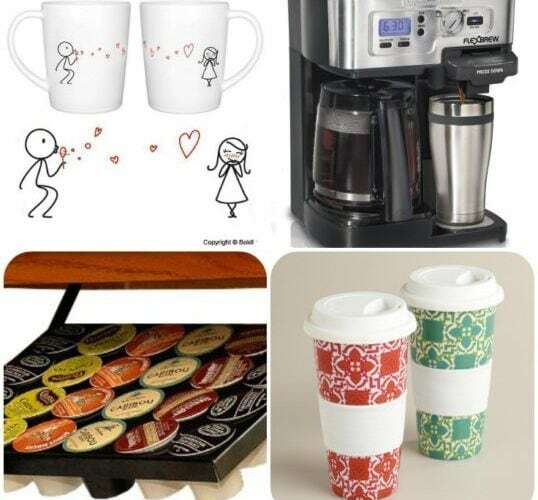 They make a fantastic gift for coffee lovers who are frequently on the go. – Sorry! I have removed this item because I became aware of what I felt were bad business practices of the company. – K-cups are super convenient and popular, but most storage options take up room on prime counter space. That's why your coffee loving friend or family member will LOVE this under cabinet K-Cup holder! Isn't it awesome?! – Is there a more perfect pairing then coffee and chocolate? I think not. Enough said. 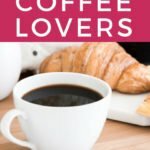 What coffee lover do you need to purchase a gift for this year? What do you think they would love most from the list? 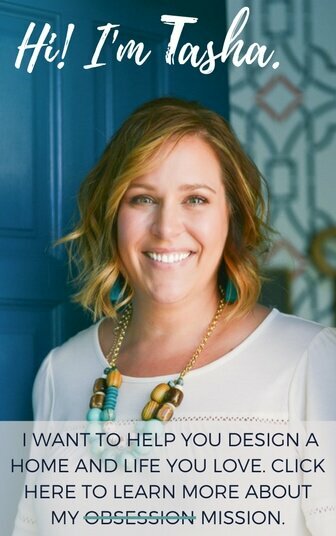 Great Gifts for Women (even those that are hard to shop for)! I love the coffemaker and was looking for a new one (definitely on the wish list) and the world mugs are a purchase I am going to make. I LOVE them. The running joke in the family is “Coffee is my beer” since I don’t like beer and I drink coffee all the time. Hi Monica! 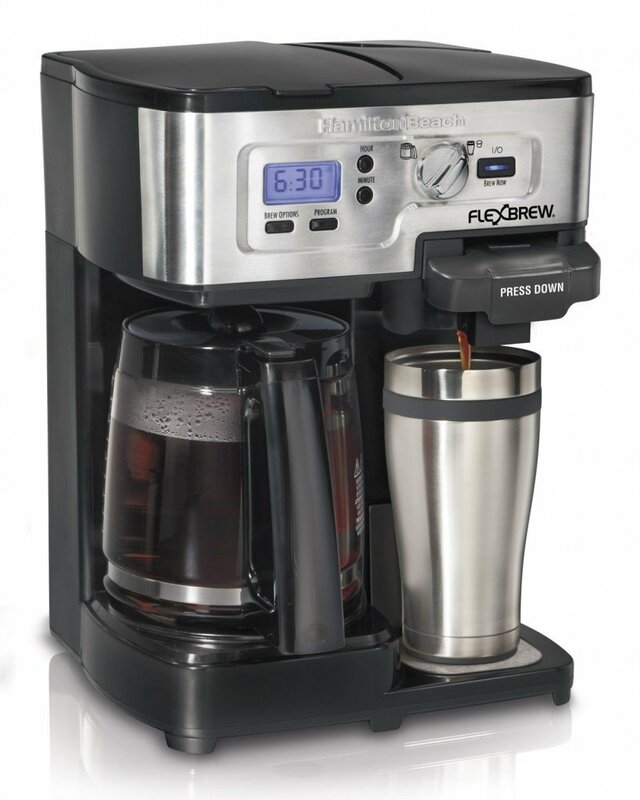 The coffee maker is seriously amazing–you should definitely add it to your wish list. And I’m so happy to hear you love those world mugs, too! PS- I don’t like beer either, but I LOVE coffee!!!! Ahhh this gift guide was MADE for me! Ha! I’m a coffee freak. :) I need one of those Hamilton Beach coffee makers! And those mugs are ADORABLE! Major coffee addict here, so I am loving all of it! 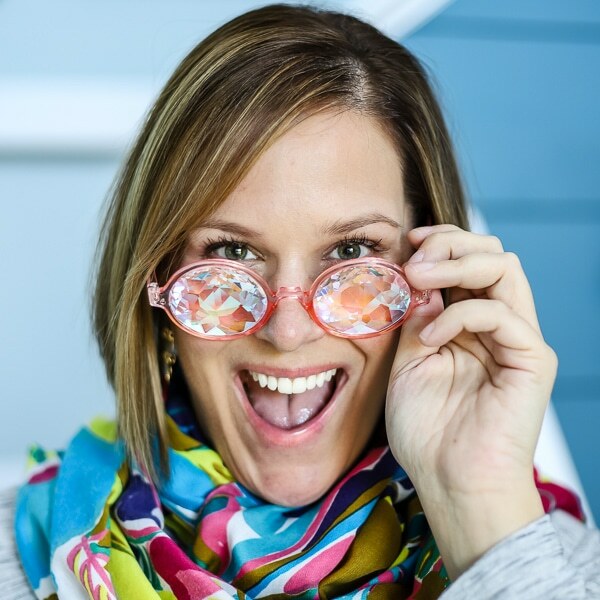 This is a fabulous list Tasha! I have to admit though, I’m likely the only reader who isn’t raising their hand! Haha! I totally love the smell of coffee and have tried, but no luck :( I’m surrounded by coffee lovers though! That clip is just the cutest, cleverest thing!! 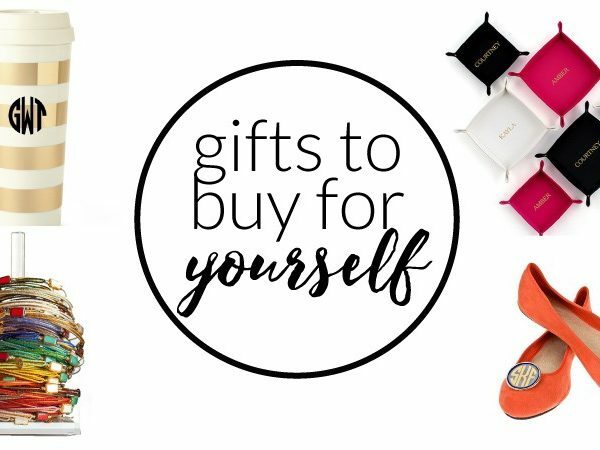 Oh this is a fantastic gift guide! Who doesn’t love coffee?! I am on my 5th cup this morning haha :) I am putting that Flexbrew Coffeemaker on my list for sure! We need a new one, and this one looks awesome! Those stacking mugs are so cool! And the couple coffee mugs are absolutely adorable! 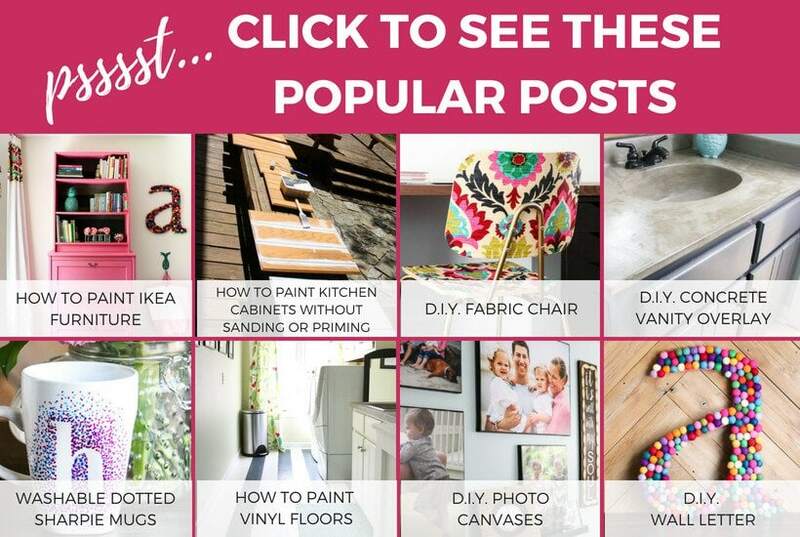 Great list, Tasha! 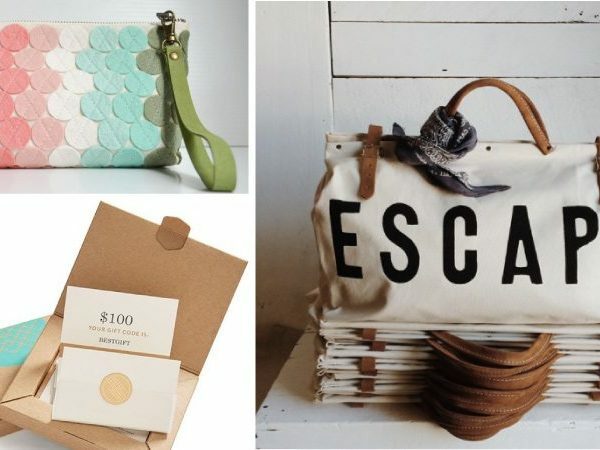 Great gift guide!! So many amazing ideas and I feel like I can smell the coffee brewing from here! 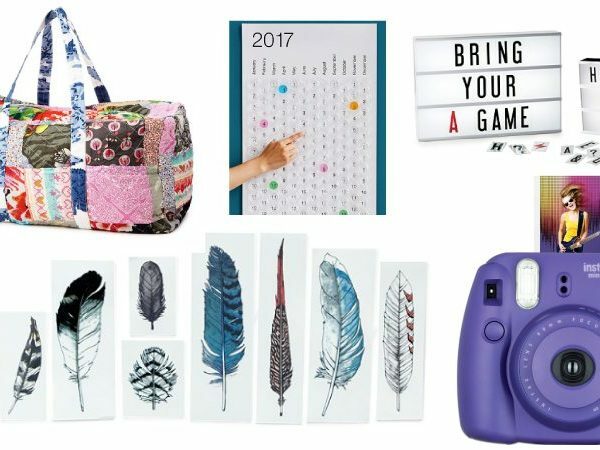 SUCH an awesome gift guide! Hoping I’m not sounding too greedy here, but I want it ALL!!! Those mugs are SUPER cute!